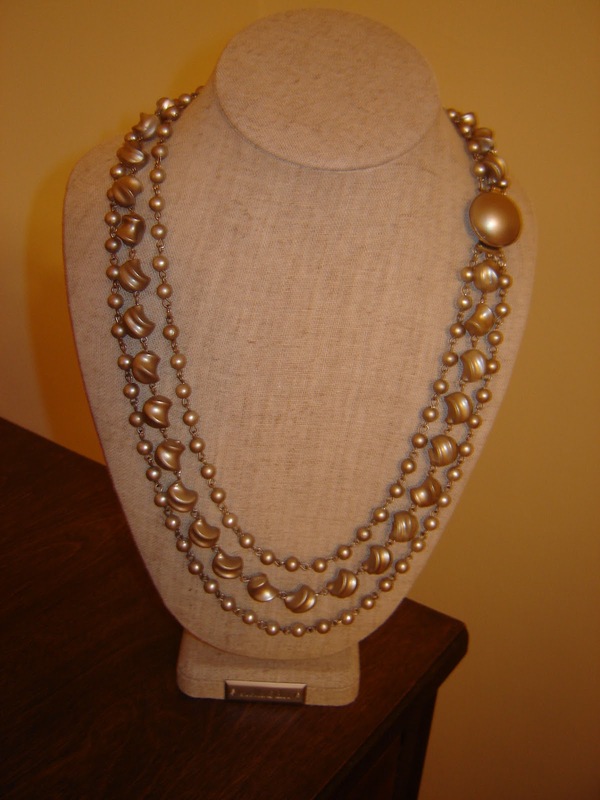 This faux pearl necklace was peeling and had seen better days so I thought I would give it two coats of gold spray paint. 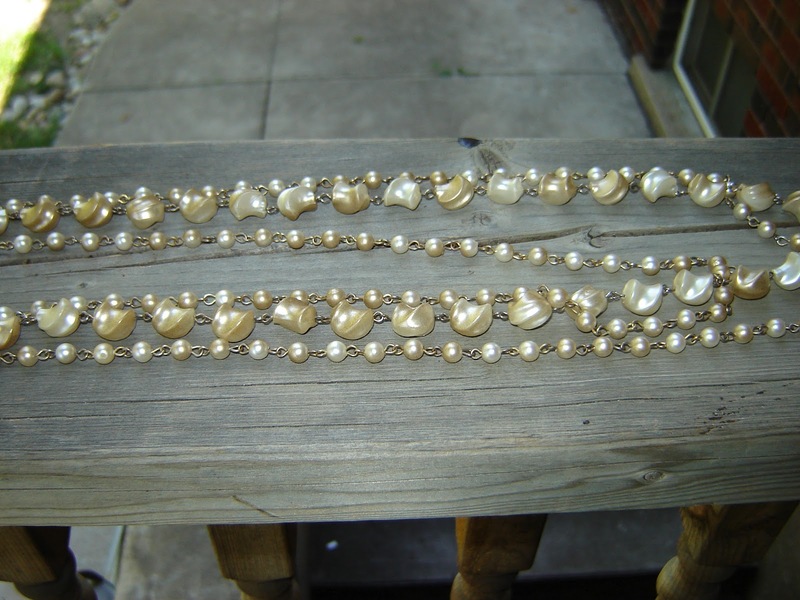 Gold pearls look good. This is the sort of jewellery you can take on holiday, you won’t mind if something happens to it.